SAINT PAUL, Minn (November 12, 2013) — CodeWeavers, Inc., developer of CrossOver software which enables Mac and Linux users to run Windows software on their computers without the need of a Microsoft license, announced today the release of its new software, CrossOver 13. CrossOver 13 is immediately available at CodeWeavers. Ask your computer doctor if CrossOver 13 is right for you, or download a free trial from CodeWeavers and try it in the privacy of your own home. 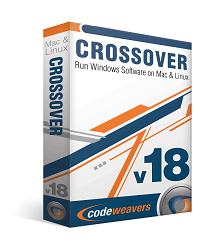 I am delighted to announce that CodeWeavers has just released CrossOver 13.0.0 for both Mac OS X and Linux. The focus of CrossOver 13.0.0 is better performance for games. CrossOver 13.0.0 includes our new Performance Enhanced Graphics. With Performance Enhanced Graphics, CrossOver creates a dedicated thread for graphics commands, making better use of the CPU and GPU. During in-house testing we have seen some frame rates double what they were with earlier versions of CrossOver. CrossOver 13.0.0 also includes numerous other enhancements for your favorite Windows applications. This release includes a new version of Wine - the open source Windows API layer that makes your Windows applications run. On the Mac, CrossOver 13.0.0 includes several fixes to our Mac Driver. On Linux, we are now shipping multiarch packages on Debian-based distributions, which should make for smoother installation of CrossOver. A changelog for CrossOver 13.0.0 is shown below. Mac customers with active support entitlements will be upgraded to Crossover 13 the next time they launch Crossover. Linux users can download the latest version from http://www.codeweavers.com/. If Crossover asks for registration use your codeweavers.com email address & password to register and unlock Crossover. 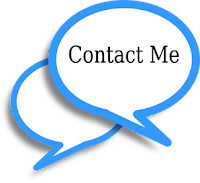 Email info@codeweavers.com if you need more help. Thank you all for your support, and we hope you enjoy CrossOver 13.0.0! o CrossOver 13 has our new Performance Enhanced Graphics. Games will run faster, with higher frame rates! This is a major overhaul of the 3D graphics processing in CrossOver, and gives significant improvements in many, many popular games. o The launcher for Borderlands 2 is working. o Both the Gem Store and mouse work with Guild Wars 2.
o The mouse pointer in Terraria is now accurate when the window is resized or zoomed. o Rendering bugs with RIFT on NVIDIA hardware are fixed. o Multi-core rendering can now be enabled in Source games. o Mirror's Edge now runs under CrossOver. o Input Managers will no longer cause Windows applications running under CrossOver to crash. o When you Command-Tab out of a full-screen program and then back, CrossOver will restore that program's display resolution setting. o CrossOver uses accelerated OpenGL in all cases. o Added support for Mac-style full-screen windows. o Enhanced the system tray icon support to handle right-clicks and middle-clicks. o Fix a bug which could cause CrossOver to display two mouse cursors in some applications. o Lots of window management fixes. o Fixed scrolling going diagonal when it shouldn't. o Fixed certain programs (e.g. Quicken 2013) failing to launch when using certain keyboard layouts (e.g. US International PC). o Fixed a bug where the select-bottle section of the Software Installer window would say Please Wait forever. o Improved icon extraction from Windows executables. o Architecture specifications have been removed from our package installer filenames. That is, our package installers filenames no longer include the 'i386' specifier. This is purely a cosmetic change in the filenames we ship - some customers were confused, believing they needed a different installer for 64-bit machines, which is not true after the switch to multiarch. o Files saved with Microsoft Office are no longer marked as 'executable,' meaning they can be opened by clicking on them in Nautilus or other file browsers. o Project 2010 will run faster. o Macros function much better in Microsoft Excel. o Access 2000 user interaction is smoother on OS X.
o The system tray for QQ is functional now on OS X.
o Kayak Foundry will load files again. o Fixed a crash in the Chinese version of Microsoft Office Home and Student Edition. The Wine development release 1.7.7 is now available. Support for configuring remote shares using Samba's NetAPI library. Multiple keyboard layouts support in the Mac driver. Improved embedding support through XEMBED. Support for arrays in VBScript. 24960 BioEdit crashes with "setup_exception_record stack overflow"
34034 Locale settings broke shader program generator. The Wine maintenance release 1.6.1 is now available. 23839 Neverwinter Nights 2 can't detect video adapter properly, claiming: "Your video card has less than 128 MB of video memory"
34102 It is not drawn when specify 0 for the width and height in GdipDrawString. 34162 CGDirectPaletteRef has been deprecated so winemac.drv can't be compiled in Mavericks. 34211 strncpy C library function doesn't compliant C standard. I'm not sure if most of my readers know that I live in the Philippines, but that's where Ive called home for the past five years. 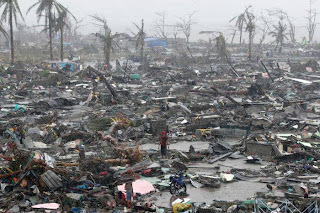 Two years ago our family's house was destroyed in Typhoon Sendong in Cagayan De Oro City. 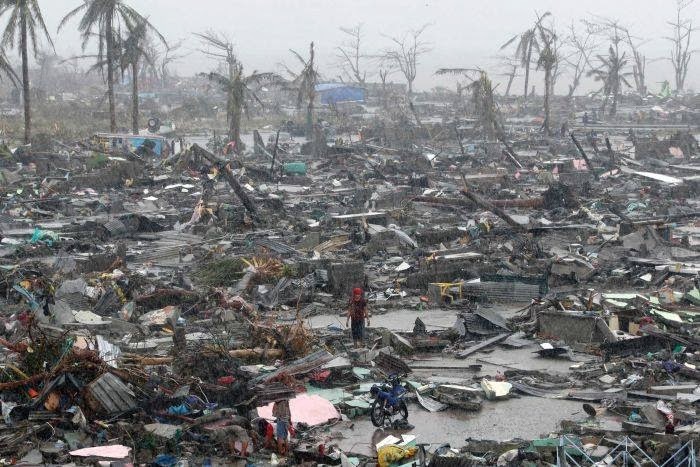 And this past week Typhoon Haiyan caused wide spread devastation across the Philippines and as a result I've got to move my family once again because the house that were currently in has major problems with the roofing and cracks in the walls. The cracks were caused by last months 7.2 earthquake centered in Bohol. If you would like to donate your pocket change to me you can send it to my paypal account. The PayPal donation link is here. CodeWeavers recently released CrossOver 12.5.1 with some minor updates and bug fixes.The full changelog is provided below. CrossOver now ships multiarch packages for Debian-based distributions. The non-multiarch Debian packages are legacy and no longer shipped. CrossOver 12.5.0 is the last version of CrossOver where non-multiarch Debian packages are available. Users of non-multiarch aware Debian distributions can still use our Mojo installer. Items in the main menu of the CrossOver GUI can now be specified in a CrossTie file. A bug which caused the plugin editor to fail to launch has been fixed. Further work around a GNOME / Nautilus bug that prevented using desktop shortcuts to open files. Fixed a font problem with Office 2010 bullet points. Fixed a problem which caused CrossOver to fail to download installers from certain URLs. Fixed a problem which caused bottles which were created prior and used until the trial expired to fail to launch. Improved the names of application installers as shown in the Mac menu bar. 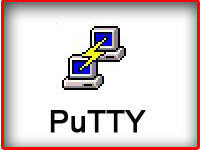 Fixed a problem in which mouse activity would sometimes cause unwanted diagonal movement of the mouse pointer. Fixed a problem minimizing Visio 2010. Fixed a problem which caused BibleWorks to fail to launch. Fixed a problem which caused Shin Megami Tensei to fail to launch. The Wine development release 1.7.6 is now available. Rewrite of the BiDi algorithm for full Unicode 6.3 support. Support for Video Mixing Renderer version 7. Better handling of window resizes in the Mac driver.